This isn’t unique to Instagram but it’s an important one nevertheless. As a marketer you shouldn’t always target the United States or your own country. Think about MENA (Middle East and North Africa) region where the users speak Arabic, Farsi and Hebrew. These are new emerging markets and where you could potentially land yourself in a world where there’s little to none competitors for your products. Instagram supports 33 languages. Nobody ever told you that your photo caption should always be in English. I had the pleasure of interviewing Nadzrul Hanif. Hanif is the technical advisor at Mindtrick known for their Lightroom presets as well as the range of professional services from Search Engine Optimisation to Video Production Services. 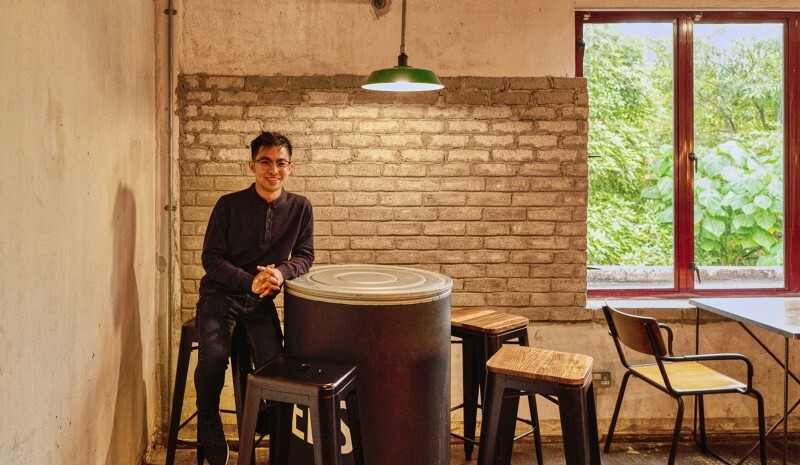 Based in Malaysia, Hanif has a successful track records of starting up small businesses and turn them into something special. He has worked with Post Production companies handling clients from Petronas to McDonalds producing some of the best videos known to mankind. 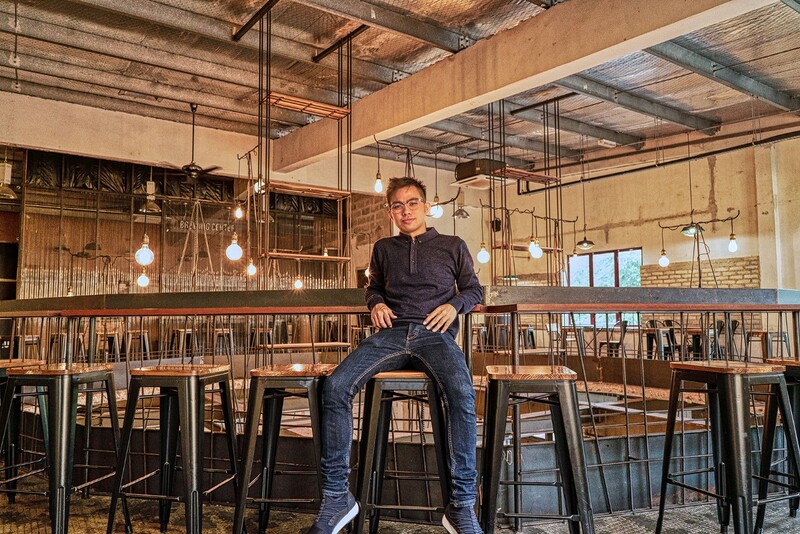 His ‘Creative Space’ project in London and his connection to businesses in the Middle East and the United Kingdom has made him one of the most exciting entrepreneurs here in South East Asia. I’m very fortunate that I was born in a family of entrepreneurs, the fighters and soldiers. It was very easy for me to look up to an example, one after another, and simply observe all the good and the bad things around me. I was inspired by not one individual but many from my family members and friends. It’s difficult for me to feel content or stick to just one thing. My focus has always been to get new and exciting things done and I believe that screams entrepreneurship. I think because I approach it differently. I see the Social Media as these ‘platforms’ that make up a different kind of world. However it’s not entirely has to be approached in a completely different way. Traditional way of marketing, or what we call the ‘human-touch’ is still present inside the social media. Marketing is no longer simply write-ups or the art of copywriting; but it is now about building brands and having businesses that are transparent to create trust for our customers. That’s why social media is very important, because it allows the consumers to have unbiased look at a brand. Influencers on the other hand can’t simply make an influence through just copywriting; it has to be done in so many ways but mainly by being ‘honest’ about a certain brand or product. Well, I started very early. I got into the social media during the Friendster time and they didn’t really call it a social media. There were tons of spamming during those time since it was difficult to detect spams whether it was done manually or even through automated software. During the Myspace era, the funny thing is that ‘Spamming’ was considered to be one of the most effective online marketing methods. We had a small group in Kuantan and we experimented with this ‘mini-Myspace’ project called The Globe. We were one of those little groups responsible for spamming Myspace; asking the users to switch from using Myspace to our own social network. I can’t really remember anything funny but I used to experiment with different kinds of projects and one of them being a marketplace that sells PHP scripts. I can’t really tell you what it was but there was an instance where one of our ‘PHP script products’ stopped working and we had all sorts of complains everywhere on Facebook. Since then I learned a lot about how important to keep our products to continue to be developed and stay on top of the quality standards. Of course especially and technically since we were in the software business but I guess that is the same everywhere. It’s not just about hyping up a brand, your products need to be great. I would say Facebook. As an advertiser, you have the option to extend your advertising reach to Instagram since they are both the same company. Facebook has made it very easy for advertisers to advertise their products to reach your target in a non obstructive way, as well as respecting the privacy of its users. You can actually read their ToS and you’ll see how much effort they have put into making this work. I’ve had great experience running Facebook Advertising campaigns for my clients, and of course in specific countries like the US, UK and Canada the advertising cost can be a little higher than expected. Based on my experience running these campaigns I would recommend Facebook but keep in mind that you won’t be expecting ROI immediately like how Search Engine Advertising works. You’ll want to keep your ad campaign consistent, things like content marketing for example are great for Facebook. I’d say it is the best platform to create product or brand awareness. Instagram Doesn’t Stay The Same. Keep Learning. Sure, for my first tip, I believe it is important that influencers keep learning about Instagram inside out. Why? Because there’s always that new feature or new algorithm that they are going to announce every once in a while. Instagram don’t stay the same and so shouldn’t you. Keep learning and don’t fall under the impression that you have mastered Instagram. Most entrepreneurs who like to leverage Instagram often forget that Instagram is a social media for photos. How do you take advantage of that? Simple, by being really good at photography. Think about YouTube, sure, you can see that some folks get really famous even with cheap production setup. But once they get really famous, notice what happens next? They step up to the game by hiring professionals and get videos done with better editing and cinematography. You just can’t run way from it. Don’t be ignorant, your Instagram feed needs to look good and surely your business and brand will follow. Share what your followers are posting. Make them feel special. Similar to Retweeting, you should share or ‘re-share’ what your followers are posting. Let’s say if you own a restaurant, obviously you should be encouraging your customers to share the dishes or the interior look and feel or your restaurant across social media. In addition to that, you should also be sharing what they have shared. If someone posted about that delicious Pasta from the menu to their IG Story, you should re-upload that story, tag that customer and thanking them. Make them feel like they are part of the brand. Instagram Stories have become a great feature to promote products. They have the CTA (call to action) opening up a link by swiping. You may have seen these implemented in bunch of creative ways. Imagine if you are promoting a cereal box, you can have something like ‘Swipe up to make your day better’, and it opens up a link to that cereal box. It’s fun because it’s not about baiting people to click on a link, you do have to swipe up, and people don’t accidentally do that. It’s quite effective, and it’s very fun to think about a bunch of different ways to make people swipe up. Polls are probably the most addicting way to engage with your followers. I use it all the time not just for business but through my personal Instagram account. For some reasons you get a lot of people to engage with polls compare to other features on Instagram, particularly because it is simple but yet it does requires certain attention to it. You can make a series of Instagram stories with polls and ask people to tag their friends to cast a vote. I’d like the world to be a safer place just like everybody else, there’s nothing so different about what I wish. I think we can start by looking at ourselves in the mirror and make that change, not just merely imagining all the people living life in peace. The best thing about the social media is the ability to be heard. You don’t have to knock on BBC’s door and ask them to let everybody know about your story. You can do that right away in less than 5 seconds. There’s good and there’s bad online or offline it doesn’t matter. It always have to start with you. We had a movement after movement, but we are lacking significant efforts to change things. That’s my answer. I want people to have a look at themselves and start contributing. We all can inspire a movement in each other. Elon Musk. Why? He’s the real life Tony Stark. I doubt if we’re going to have a lunch together, but please tag him.